Did it myself. Some ribbon. Lots of criss-crossing. Stitching. 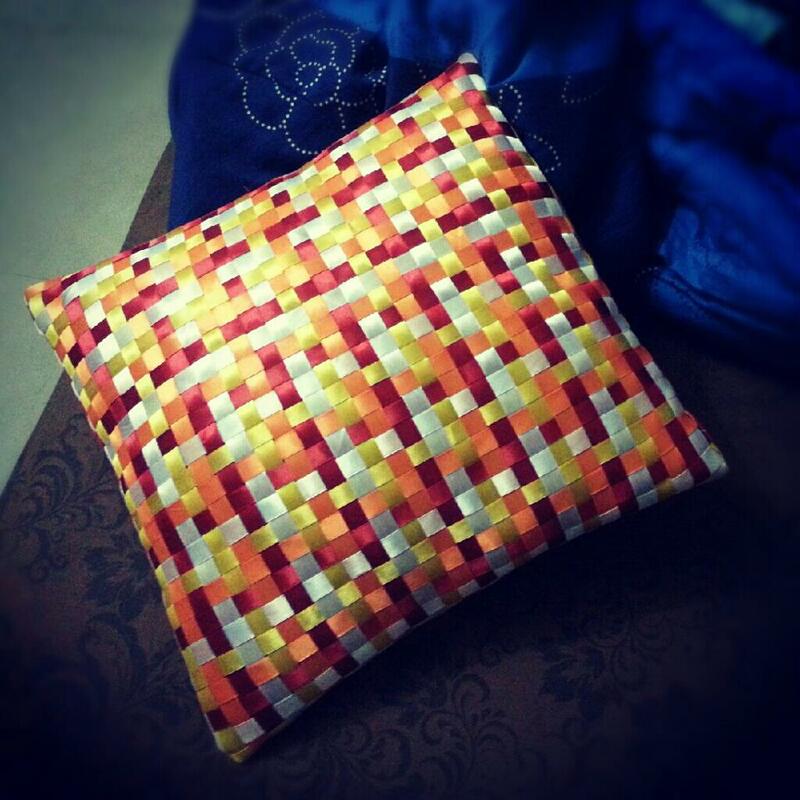 And voila, my snugly new cushion cover.